George Papandreou holds an M.Sc. in Sociology and Development from LSE, and is a fellow at Harvard University’s Center for International Affairs. An Member of Parliament since 1981, he served in several government posts before being appointed Foreign Minister from 1999-2004. He has received several honors for his commitment to promote peace and democracy, notably his successful campaign, as Foreign Minister, to engineer a rapprochement between Greece and Turkey. An active supporter of the information society and e-democracy, he was elected in 2003 as one of the “25 People Who are Changing the World of Internet Politics”. 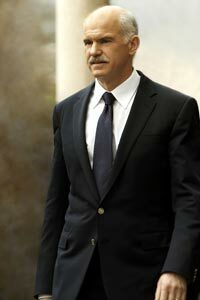 As President of the Panhellenic Socialist Movement (PASOK) from January 2004 – April 2012, George Papandreou launched radical reforms of the Greek party political system. He served as Prime Minister of Greece from October 2009 – November 2011. He was unanimously elected as President of the Socialist International in January 2006.